Thanksgiving is literally right around the corner. With Canadian Thanksgiving next week on Monday, and American Thanksgiving a month away, it’s never too early to start planning! So, let’s take care of the biggest item on the menu — turkey. And boy do I have the easiest, best and juiciest roast turkey ever for you! 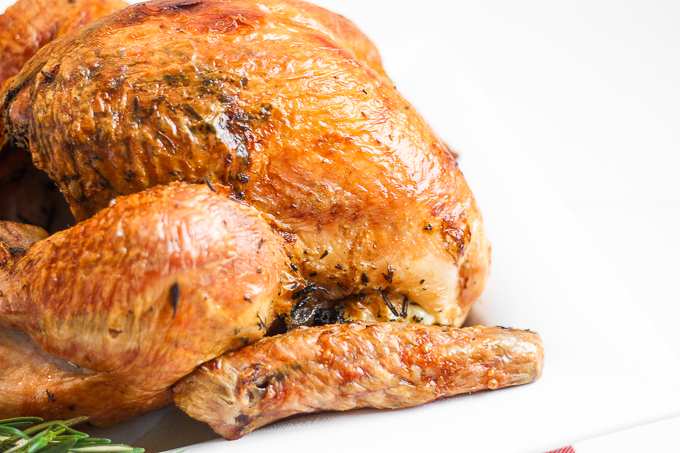 So what is the secret to the perfect roast turkey? Roasting it at a higher heat for a shorter period of time. That’s right, you no longer need to spend 5 hours roasting a turkey, nor do you need to take it out every hour to apply brine. Just prep the bird, stick in the oven, adjust the temperature once during the cooking process and that’s it. Yup, this is the easiest and juiciest way to get it done! Plus, the flavour is so much better! This recipe also provides the essentials for an AH-mazing gravy ! Almost all you need is right there in the turkey. 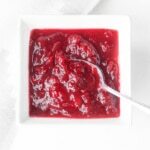 You will need to make homemade turkey stock which requires the turkey neck and giblets, so make sure you remove and save those when you are prepping the turkey for the oven. Also, once the turkey is baked, save all those juicy drippings as well. 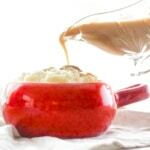 Get my easy homemade gravy recipe HERE! There is seriously no need for powdered gravy if you are already making a roast turkey dinner!! 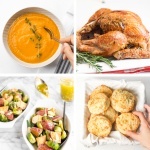 Make Thanksgiving easier with the best and juiciest roast turkey ever! It cooks faster and requires NO brining! Remove turkey neck and giblets and set aside for your homemade gravy (it is used for the turkey stock). Wash and pat dry turkey with paper towels. Place turkey on roasting tray and tuck the wings underneath the turkey. Coat the turkey skin both on top and underneath (if possible) generously with olive oil or butter. You can add some chopped herbs (rosemary, thyme and/or sage) on top of the bird as well (optional). Insert apple, cinnamon and fresh herbs into the turkey’s cavity. Roast the turkey on lowest rack for 30 minutes. Lower the oven temperature to 350 F and roast until the internal temperature of turkey reaches 165 F. You can check the internal temperature by inserting the thickest part of the turkey breast with a cooking thermometer. For a 14-16 pound turkey, this should take approximately 2 to 2.5 hours. Remove from oven and loosely cover the turkey with aluminum foil. Let turkey rest for 15 minutes. Meanwhile, remove the turkey drippings and set aside for your gravy. Reserve the turkey neck and giblets to make turkey stock for your homemade gravy. I found your recipe while looking for one that cooks the bird breast down. Have you ever tried cooking one that way? Your turkey looks perfect!! Thanks!! I have actually never tried cooking it with the bird breast down. Maybe I could give it a try next year. 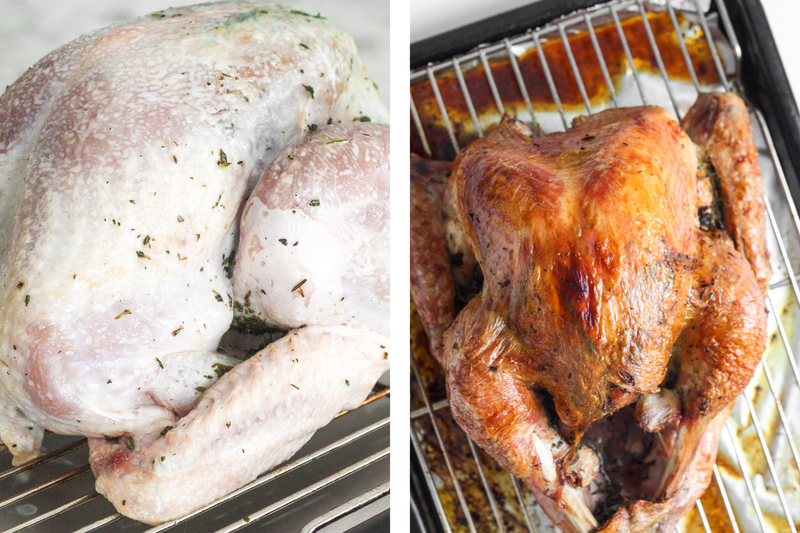 Will this method work on a larger turkey, say 25 pounds? Yes, you will just have to adjust your cooking time once the oven temperature is lowered to 350 F. For a 25 pound turkey, I would suggest checking the temperature after 3 to 3.5 hours. If the internal temperature hasn’t reached 165 F yet, then check again every 15 minutes. This looks fantastic. Ad I love the idea of using a cinnamon stick – I bet that adds great flavour. 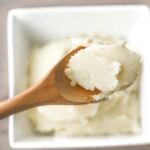 It adds amazing flavour, but mostly an incredible aroma in your kitchen! I LOVE the crispy skin on this bird! It looks super delicious! What a gorgeous turkey! 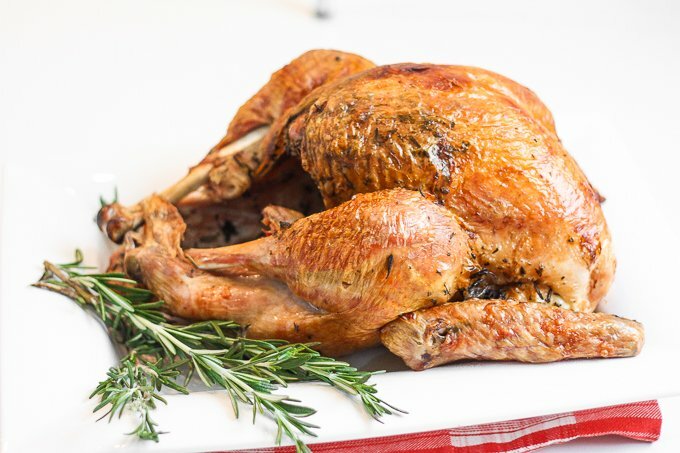 I am admittedly not a big turkey fan because I hate how dry it is – can’t wait to try this to make an extra juicy one this year! You have me wishing Thanksgiving was tomorrow with this turkey! 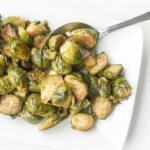 So easy and delicious, I know what I”m making this year. Oh yes hunny! It is about that time for us to start getting prepared for Thanksgiving. This looks like the perfect roasted turkey. Cinnamon in the cavity? Oh, that sounds interesting. It adds lovely depth with meat, so this should be really good! I love this method of cooking a turkey. I remember my mom and dad waking up so early to cook the turkey for hours upon hours. We would be waiting with that most asked question. 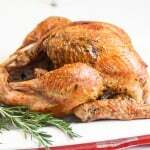 “Is it ready yet!” Your method cuts that time considerably and the crispness on the surface of that bird looks so so delicious! This makes me excited for Thanksgiving to get here – I’m American so I still have a month to wait, but it’s worth waiting for a turkey as delicious as this. Agreed that starting on high heat is a great technique! I’ve never tried doing a turkey at 500 degrees, but your theory makes a lot of sense. It almost makes me want to go out and get a turkey to try it now! This turkey looks just perfect! 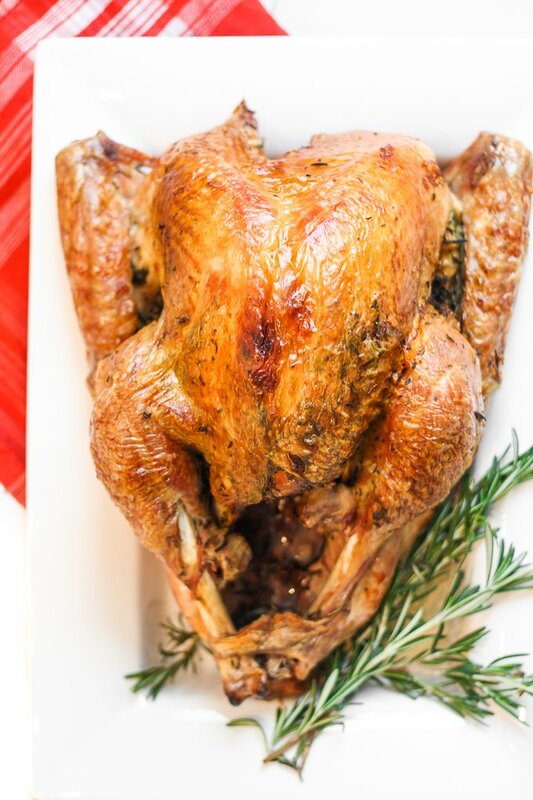 I always have trouble roasting a turkey… I can only ever get a roast chicken done right… I’m saving this recipe for Thanksgiving! Juicy turkey, here I come! Now I’m in the mood for Thanksgiving! Thank you for the holiday inspiration and kickoff to my favorite time of year. Yes! I love this! I don’t know how many sad and dry Turky’s I’ve had in my life! This will be a game changer! Mmmmmm … what an alluring combination, stuffing the turkey with apples, cinnamon and those wonderful fresh herbs! I especially love fresh sage, which is such a quintessential Thanksgiving flavor! It is pretty amazing! It just adds flavour and adds amazing aroma to your kitchen!